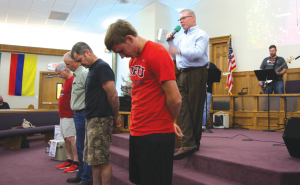 ALTUS—If the events of August were any indication, the Gospel message of Jesus is on the advance in Jackson County, Oklahoma. Called “Love My Neighbor 2017,” God gave the idea first to Kevin Baker, pastor of Altus, Martha Road. “It was really Kevin’s brainchild that I believe the Lord gave to him,” Jim Brown, pastor of Altus, Friendship, said. In January, the three churches had joined for Winter Bible Study, committing to do this for at least three years, rotating the meeting location from church to church. During one of the Bible Study meetings, the three pastors realized they had stumbled onto something bigger than a once-a-year Bible study. 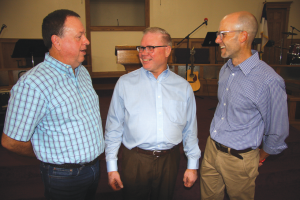 It was a Gospel-centered partnership with each church desiring to reach the 1,500-plus families that live in the “Jackson County triangle” Baker described. The plan consisted of contacting each home through a direct mail campaign, hosting different groups into the churches for community appreciation days and a community picnic. Anthony Jordan led in a time of invitation. 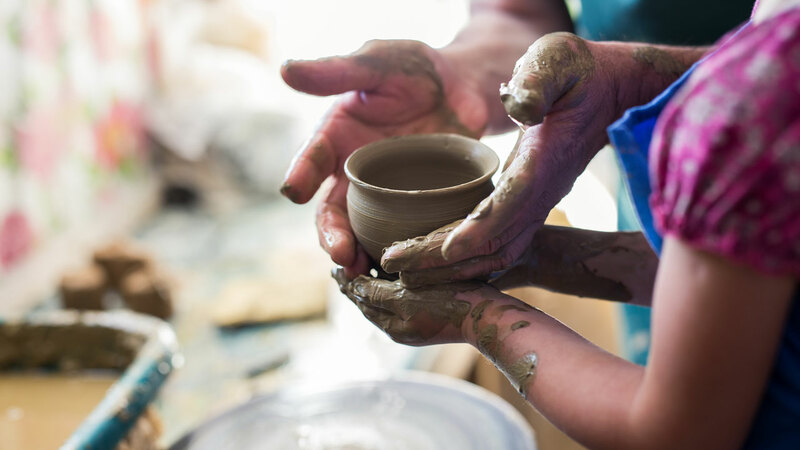 Going forward, the desire of the churches is to demonstrate what Jesus said was the second greatest commandment, to “Love your neighbor as yourself,” whether that is through community service projects, evangelistic block parties or just simply learning how to be good neighbors. Wes Roberston, pastor of Blair, First, agreed. “It’s an honor to share fellowship and be on mission together to share the love of Christ,” he said. Each congregation had the opportunity to host a worship service, where members were asked to attend, to bring guests and to pray fervently for God to send revival in the county, state and nation. Blair, First was first to host on Sunday morning and evening, Aug. 13, Altus, Friendship hosted on Sunday evening, August 20; and Altus, Martha Road hosted the last service on the evening of Aug. 27. The three guest preachers included three from the Baptist General Convention of Oklahoma (BGCO): Alan Quigley, BGCO Mobilization Team leader; James Swain, BGCO Equipping Team leader; and Anthony Jordan, BGCO executive director-treasurer. Prior to his sermon at the final Sunday event, Jordan emphasized the importance of the churches coming together. “This was truly a remarkable three weeks for these churches and this community,” Jordan said. “They came together, worshipped, gave and challenged one another to be the church in the community sharing the Gospel. 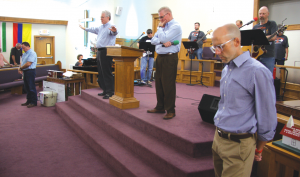 Each of the three congregations hosted events, including Kevin Baker and Altus, Martha Road. “This is an extraordinary display of cooperation and Kingdom mindset. These pastors have brought their churches together for the purpose of demonstrating, in tangible ways, the love of Christ in their overlapping communities and dedicating themselves to share the Gospel,” Jordan added. Baker believes that God was moving in the hearts of the people long before these events came to pass. “God prepares the hearts of the people, and I sincerely believe He called us to hold these events and bring many people to Christ,” Baker said. “It is my prayer that this effort will be repeated across Oklahoma,” Jordan said.